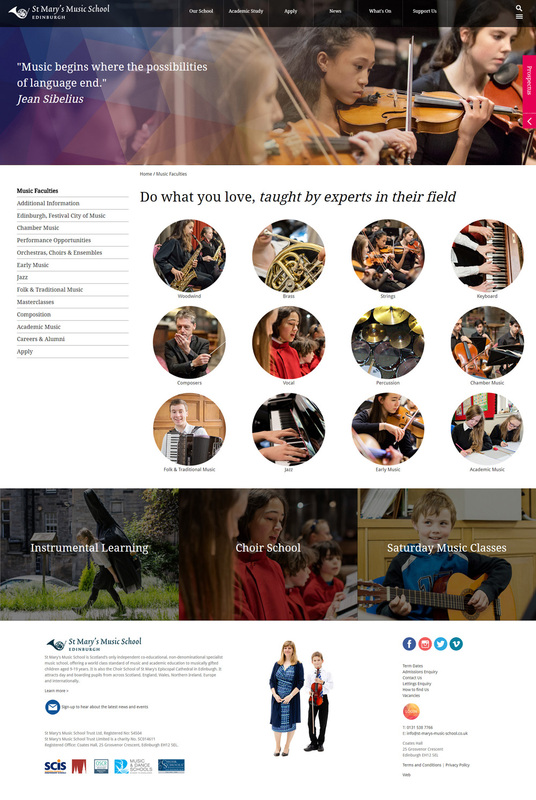 St Mary’s Music School is Scotland’s only independent co-educational, non-denominational specialist music school, offering a world class standard of music and academic education to musically gifted children aged 9-19 years. 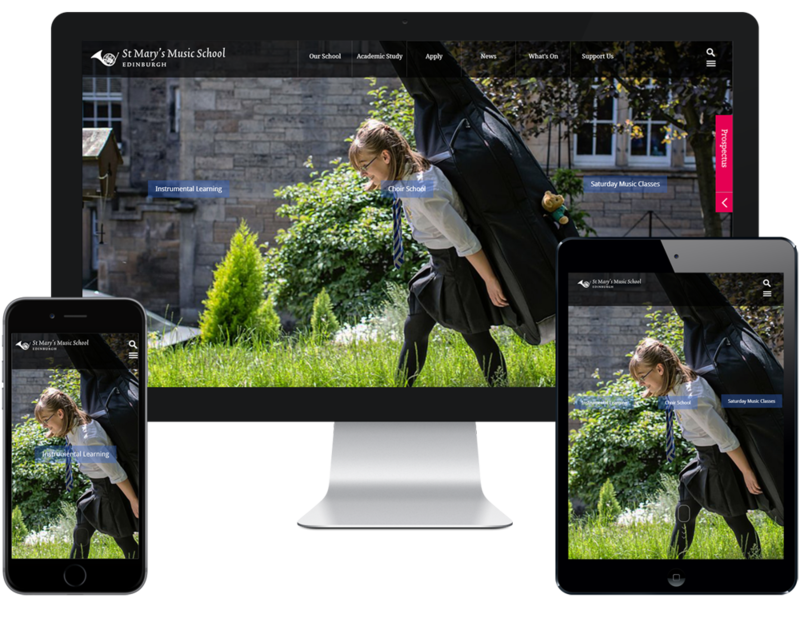 It is also the Choir School of St Mary’s Episcopal Cathedral in Edinburgh. 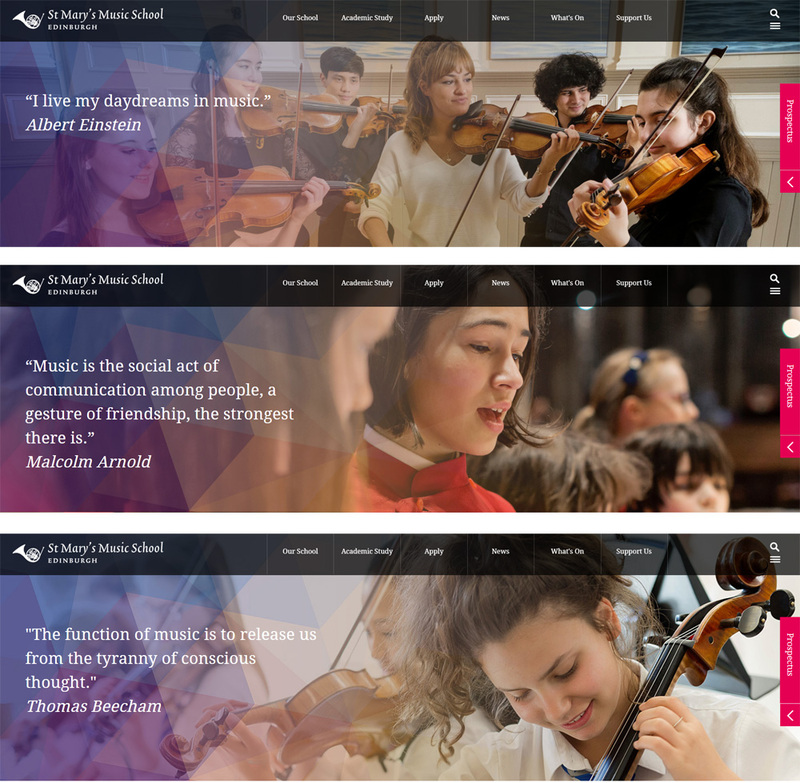 The new website for St Mary's Music School involved a refocus on its talented teaching staff - each teacher is associated to a faculty with relational databases. 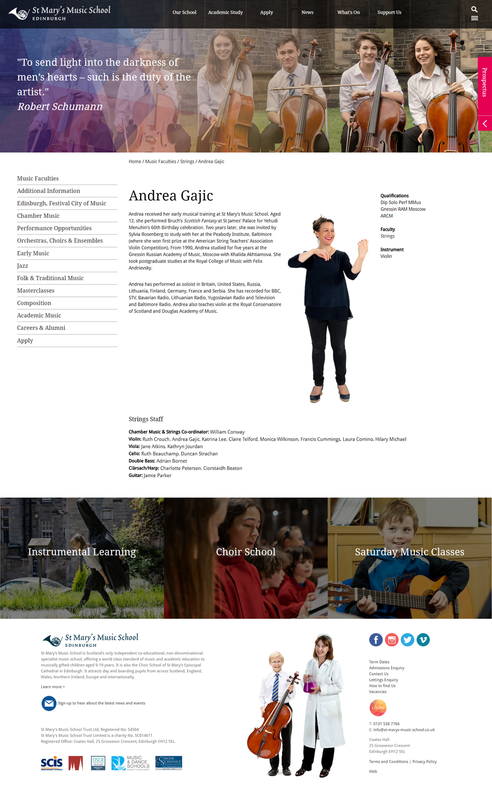 WEB also delivered a full events system with online booking through an ecommerce facility. 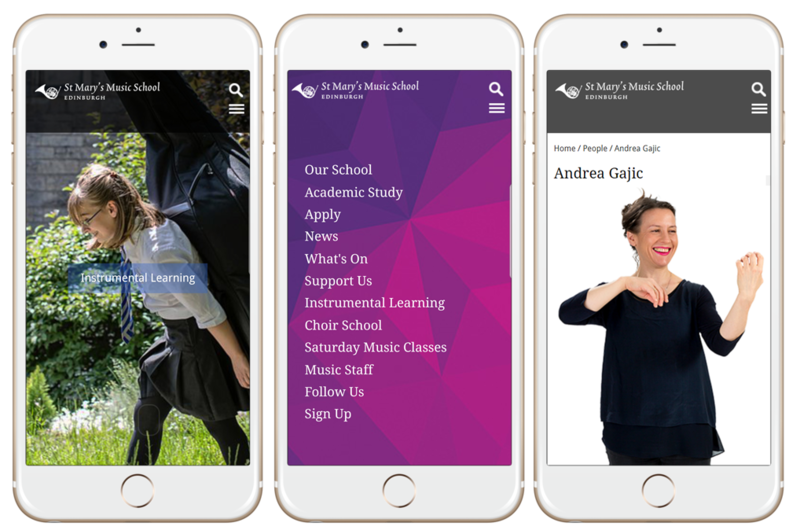 A simple route to the prospectus and admissions form has increased conversions along with ever increasing results in search engine traffic.